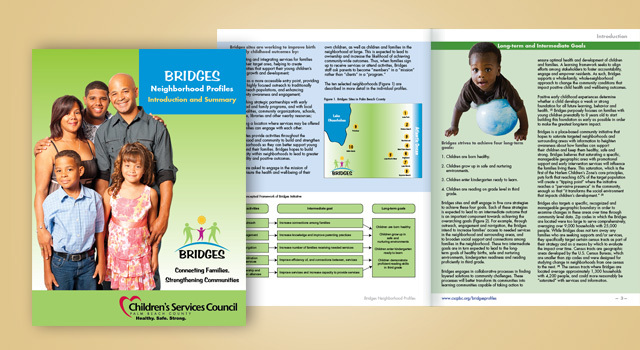 “Checks & Balances: Your Guide to County Finances,” which is also called a “Popular Annual Financial Report” (PAFR), includes condensed and simplified information from the CAFR, County budget and other financial reports. 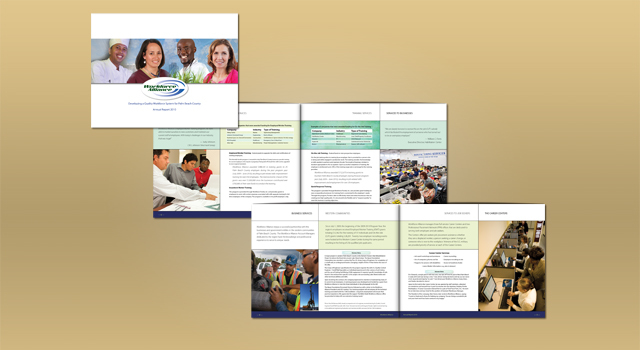 This guide is a recommended practice of the Government Finance Officers Association (GFOA), the authority on best practices in governmental accounting and financial reporting. 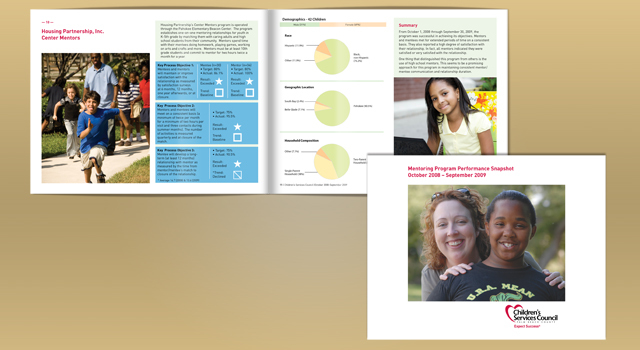 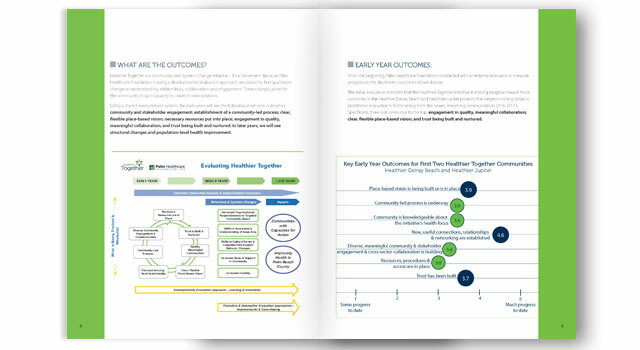 The PAFR design for the FY ended September 30, 2012 report was conceived to have a strong, clean dynamic presence. 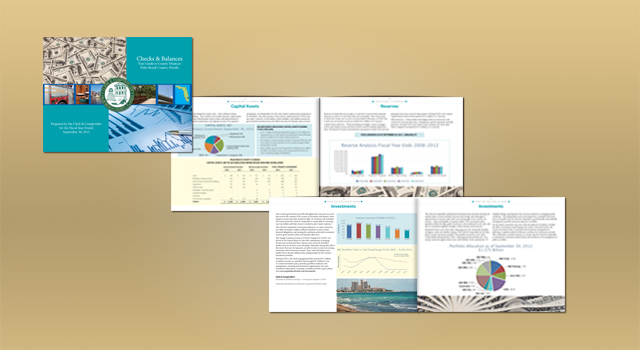 It is meant to present the information in an easy-to-access format, while offering an expression of the tropical flavor of Palm Beach County. 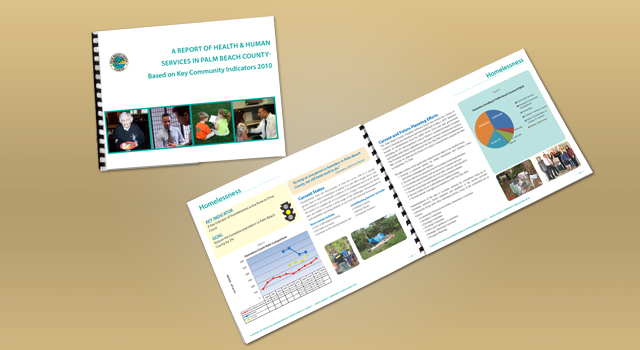 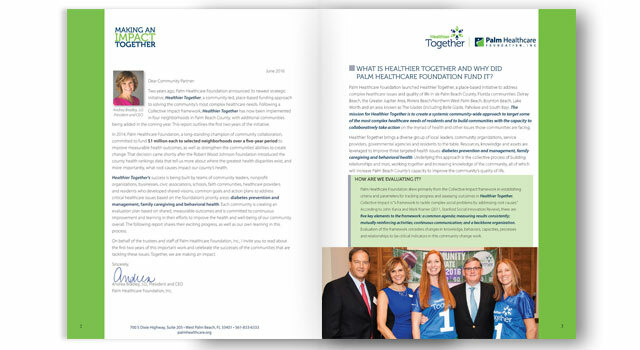 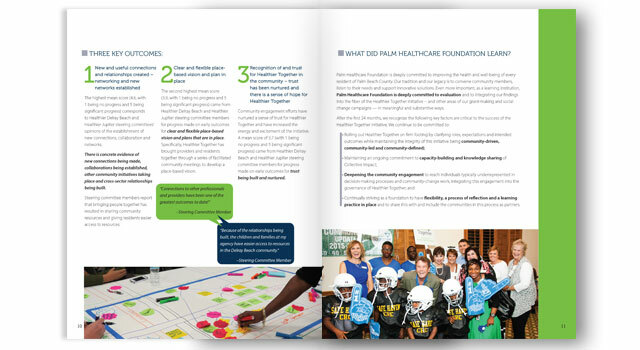 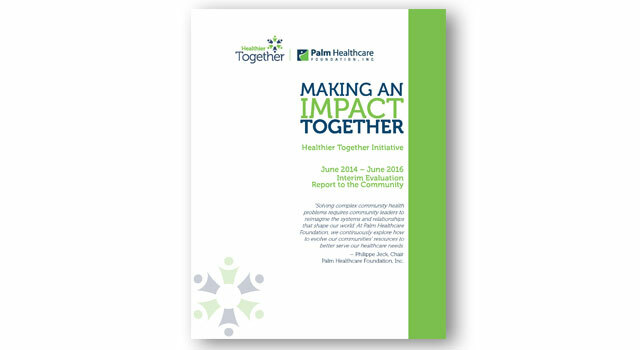 This 80 page Report on Health and Human Services in Palm Beach County was designed for the Palm Beach County Board of County Commissioners (BCC), Citizens Advisory Committee on Health and Human Services (CAC/HHS), Health and Human Service personnel and the general public.